You don’t have to be a movie buff, or really pay attention to movies at all to know that Nicolas Cage is an intense actor. His intensity is always there, whether he is sleeping, sitting, standing, talking, or silent. This intensity, when injected into his acting, can result in some fantastically powerful scenes, and also some complete train wrecks. This type of intensity has even earned its own name: Cage Rage. Well, Nic turned 50 on January 7th, and what better way to honor this man who simply exudes energy than by covering some of his most famous Cage Rage roles - some of which have earned him accolades (like Leaving Las Vegas) and some which have resulted in ridicule (The Wicker Man). In this film, Cage plays Lieutenant Terence McDonagh, who, as you can guess from the title, is a bad lieutenant. He isn’t just bad at his job, he’s generally an all-around bad person. He is a drug-dealing, crack-smoking, coke-snorting, pill-popping, lying, cheating, and stealing level of bad person. When he isn’t busy at his day job, he’s moonlighting as a drug dealer, one who conveniently sells the very drugs that are intended to be used as evidence. There truly isn’t any person who McDonagh won’t betray or any line he will not cross. It doesn’t take a genius to guess that Nic Cage playing a crack smoking, crooked cop is going to result in some serious Cage Rage. Check out the clip above for some of the strangest scenes of the film. This film was clearly made by Nic Cage for a paycheck, and it was filmed in 2008 and 2009, during the utmost peak of his financial troubles. The entire premise of the film is so completely farfetched that it’s difficult to believe anyone would take on the role as a passion project, or even take it at all. In the film, Cage plays a very dark and brooding Teutonic Knight named Behmen von Bleibruck who participated in a few European Crusades during the 14th century before deserting. He and his friend are caught in the Holy Roman Empire and consequently assigned to take a witch accused of causing the Black Death to a remote monastery. The plot is relatively clear up until that point. 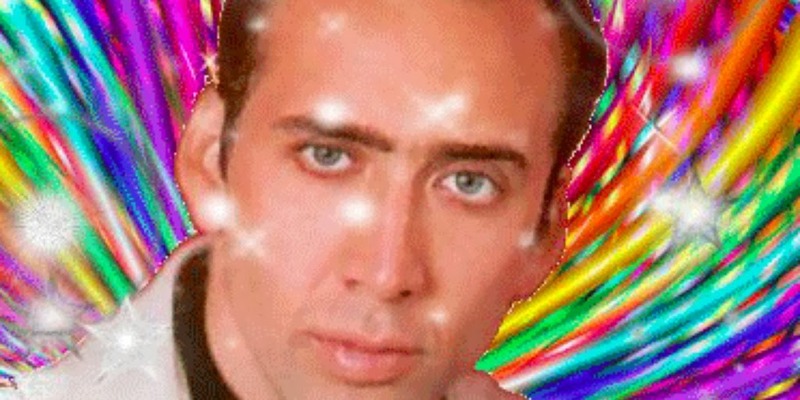 During the whole film the Cage Rage is on a simmer. Cage reaches a combustion point, but his brooding in an attempt to appear dark and mysterious comes across as more so disturbed. However, at the same time the film tries implement aspects of a road buddy comedy, which, unsurprisingly, makes “Disturbed Nic Cage” slightly awkward to watch. If you haven’t seen the ending, let’s just say demons, undead monks, and a pack of satanic wolves are involved. Luckily for you, if you have Direct Ticket you can stream the film right now via their website.. It’s a film that might just be so off that it’s actually fun to watch. You can be excused if you haven’t seen this 2006 horror film remake, since numbers show that hardly anyone actually viewed it in theaters. In this farfetched movie, Cage plays a police officer named Edward Malus whose daughter turns up missing. Malus is convinced his daughter has been kidnapped by a group of neopagan honey farmers who live on an island off the coast of Washington state. He decides to go visit the island to try to uncover what exactly happened to his daughter, which is where things begin to get weird. The island is run by a cult of sadistic women who supposedly kidnapped his daughter to burn her alive as a sacrifice in order to help them recover from the dwindling honey supply on the island. The whole movie deteriorates from there and Cage ends up punching a lot of women, wearing a bear costume, and getting a helmet full of bees, all the while screaming in classic Cage Rage style. Of course, the best film must be mentioned last. This 1993 film is so filled to the brim with Cage Rage that there is almost no point in having an actual plot. As con artist Joe Dolan, Cage was given full control of his costume, which was likely the first mistake made in this film. 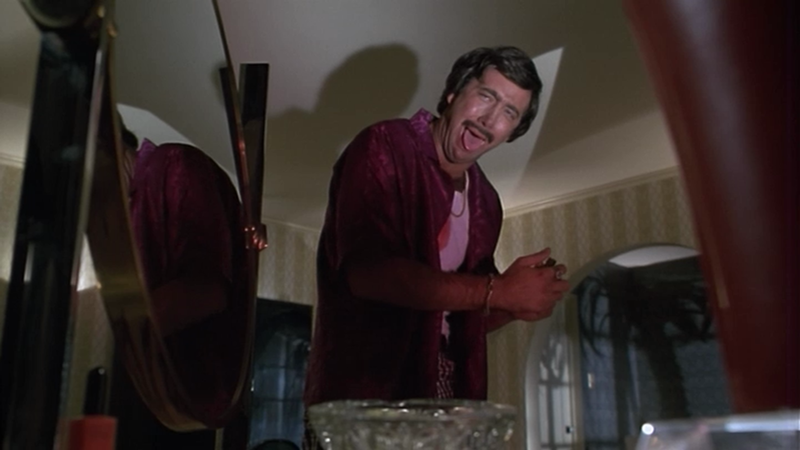 The fact that this film was directed by his brother might have also contributed to the fact that Cage clearly felt free to go completely nuts on camera. It’s difficult to determine if Cage is legitimately trying to act dramatically, or if he is purposefully mocking the high drama acting of the noir genre this film references. It rides the fine line between “he might be mentally ill if he thinks this is acceptable acting” and “this is clearly satire,” which is, unsurprisingly, an uncomfortable line for viewers to ever come near. The Cage Rage in this film is so filled with f-bombs that I would suggest you don’t watch any clips of it at work or near children - the f-bomb flies so freely it would make Scorsese blush. The only summary of this film that could possible given is thus: Nic Cage is in a bad wig, screams, swears, cheats, and kills people. Some enjoy it for its camp value, but don’t assume this film has cult level status, this is truly just a bad movie. But, if you are in the mood to become so consumed by someone’s overacting that you almost have a panic attack, Deadfall is available to stream via AmazonPrime. What are your favourite moments of Cage Rage? Awesome way to celebrate his birthday! Wicker Man remains the most unintentionally hilarious movie I've seen in my life. It is actually hilarious. I don't know what he was thinking the entire time. That is pretty much my favourite video of all time! Such a great post. cage is really wonderful.Such a wonderful post it's extraordinarily illuminating for future time. We should need to encourage diverse specialists to scrutinize this article and I am moreover a bit of other association who give custom essay writing service, which is ideal for all understudies.